Contents and Media: Around 360 parts in grey plastic; 18 parts in clear; two nickel-plated photo-etched frets; six parts in flexible black vinyl; eight steel pins; seven miniature magnets; various small screws and metal parts; a self-adhesive masking sheet for the canopy parts; two metallic self-adhesive name plates and two decal sheets with markings for three aircraft. 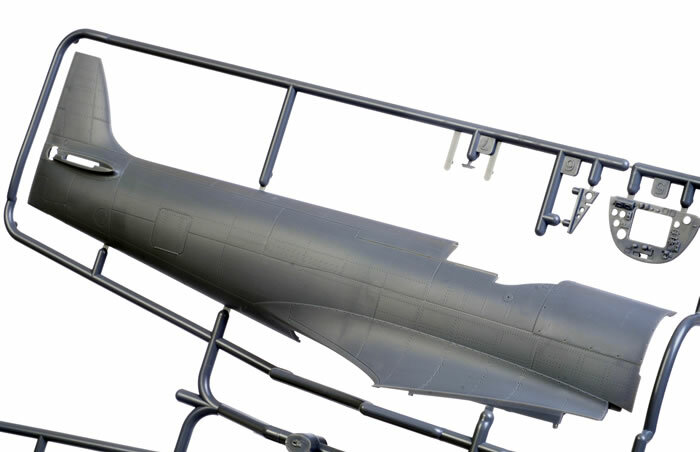 Advantages: Perfectly moulded; accurate; superbly detailed with full engine and cockpit; useful options including alternate exhausts, armament, slipper tanks, bombs and more; positionable undercarriage; includes display stand. Conclusion: Tamiya’s 1/32 scale Mk.XVIe continues the tradition of these extraordinary Spitfire kits. The level of detail is second to none. The Focke-Wulf Fw 190 asserted its authority as soon as it appeared over the Channel Front in September 1941. It was so clearly superior to the Spitfire Mk.V that RAF Fighter Command curtailed operations twice - from November 1941 to March 1942, and again from 13 June 1942 - due to unacceptably high losses against the Luftwaffe's "Butcher Bird". The Rolls-Royce Merlin 60 series engines would offer the Spitfire the essential edge it needed to balance the scales against this new foe, but the high altitude Spitfire Mk.VII and the unpressurised Mk.VIII were still many months away from production. An interim proposal was therefore made to provide a suitable solution in a more timely fashion. The Merlin 61 engine would be fitted to the existing Spitfire Mk.V airframe, matching the Fw 190s performance at medium and high altitudes. This aircraft was known as the Spitfire F.Mk.IX, Type No.361. The resulting Spitfire retained the clean lines of the earlier Mks. I, II and V, but featured a longer and modified fuselage to accommodate the bigger engine, revised intakes, radiators and oil coolers, and a four-bladed propeller to handle the greater power. Although initially conceived as a stop-gap measure, the Spitfire Mk.IX and the essentially similar Mk.XVI (powered by a Packard Merlin engine) eventually became the most numerous of all Spitfire variants with more than 7,000 delivered to the RAF, the VVS and other Allied air forces. The Packard Merlin Mk.XVI was fitted with revised armament where the 20mm cannon was relocated to the outboard position. This was known as the E wing, and was also fitted to some Mk.IX variants. During the production run of the Spitfire Mk,XVI, a low-back "bubble" canopy version was introduced. The camber of the main wheels was changed on the Mk.XVI, necessitating a shallow bulge on the top of the wing to accommodate the tilted wheel in the undercarriage bay. The Spitfire Mk.XVI continued in front line service until the end of the Second World War. 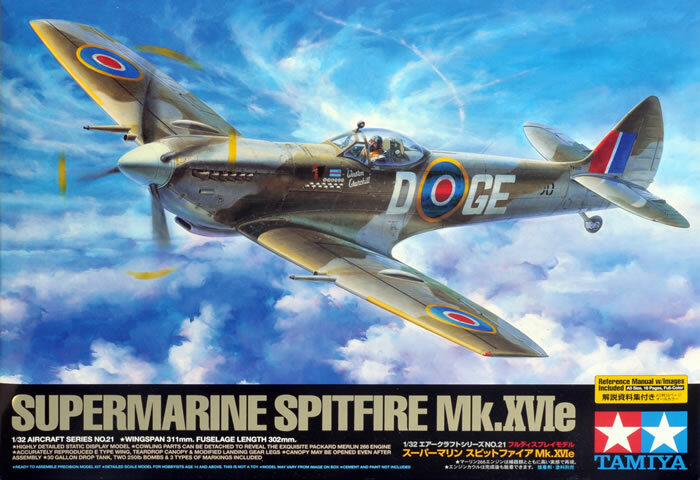 Tamiya released their second 1:32 scale Spitfire kit, a Mk.VIII, in mid-2010, with this, their third in early 2011. Tamiya’s 1:32 scale Spitfire Mk.XVIe comprises around 360 parts in grey plastic, 18 parts in clear, two nickel-plated photo-etched frets, six parts in flexible black vinyl, eight steel pins, seven miniature magnets, various small screws and metal parts, a self-adhesive masking sheet for the canopy parts, two metallic self-adhesive name plates and two decal sheets with markings for three aircraft. Not surprisingly, most of the parts are common with the initial Mk.IXc kit, including the main wing parts, the engine, cowling, undercarriage and cockpit. The unique attributes of the Mk.XVIe have been thoroughly covered in this new boxing. The most obvious difference in this version is the low-back fuselage. This is moulded in one piece from the firewall back with no inserts required. 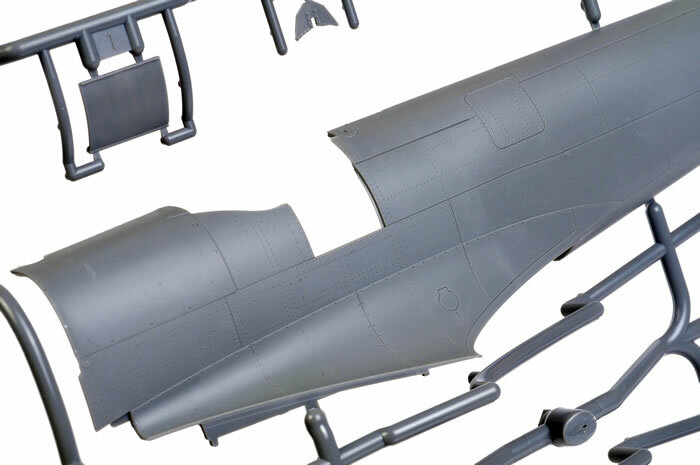 This time around, the fixed tail wheel is the only option, so the tail wheel bay insert is omitted from this set of fuselage parts. Cockpit bulkheads and some other details have been revised too. The cockpit is fully equipped with a multi-media sandwich for the instrument panel, photo-etched harness and an optional seated pilot. You won't need to attach the flare rack (Part F47) to the front of the seat for this variant though. The E Wing configuration is delivered by alternate inserts for the upper and lower gun bay covers and ejector ports. The biggest change on the wing is the relocation of the narrow blister to the outboard position, but the shape of the blister itself is also different and there are some subtle changes on the surfaces of the panels. The new bulges on top of the wheel bays and small blisters are supplied as separate parts. To their great credit, Tamiya has moulded the inverse part of this new bulge on the inside of the wheel well ceiling. Bombs, alternate cannon styles, slipper tanks and two versions of exhausts are provided as options. Five spoke wheel hubs are included too, but they are not used for this variant. There will be a few other leftover bits for your spares box too. As with Tamiya's other 1/32 scale Spitfire releases, surface detail is some of the best I have ever seen on a plastic model kit. The recessed panel lines are supplemented with beautifully restrained lines of rivets and raised hinges as appropriate. There are no giant divots here - the surface detail really looks the goods. Transparencies are thin and totally free of distortion. 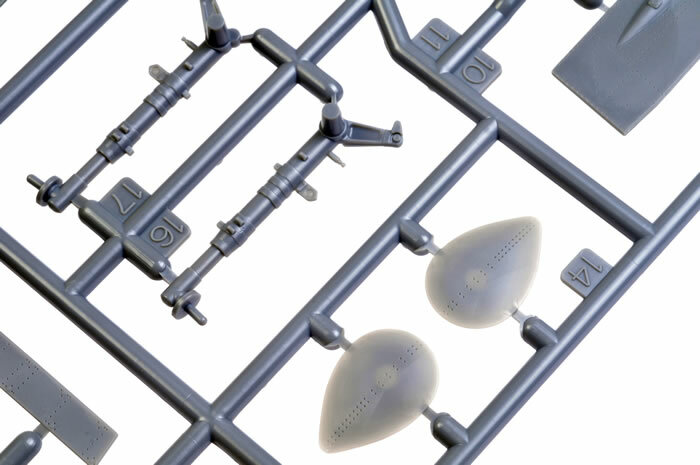 These sprues are dominated by the new bubble top canopy. This is beautifully thin, but does have a faint raised seam line running along the centreline. This will be easy to remove with the back of a hobby blade and some Micro Mesh cloth. The clear sprue also includes the clipped wing tips, making it a simple matter to ensure nice, smear-free wing tip navigation lights on the LF version. 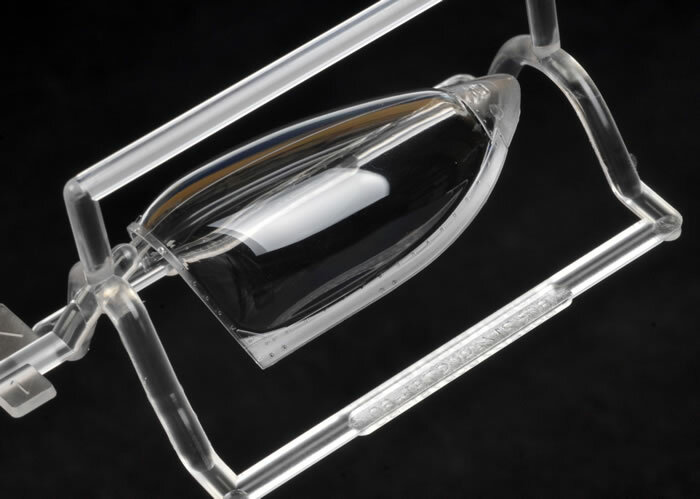 Instrument lenses are also supplied as clear parts. 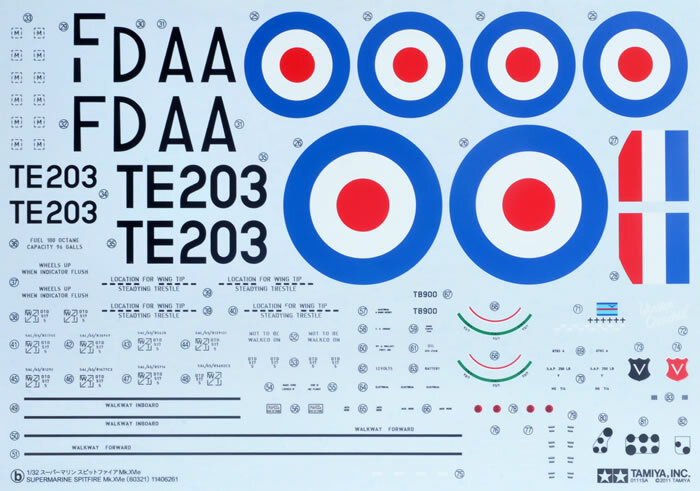 These are backed with decal dials, and then inserted into the main plastic and metal instrument panel. Quite clever really. Self-adhesive masks for the canopy parts are also included. The outline is printed on the yellow masking material, and the modeller cuts them out before applying them to the clear parts. The photo-etched frets provide the aforementioned instrument panel (two versions), plus a Sutton Harness, pilot's armour and smaller details. The list of kit features is equally impressive. All control surfaces are separate. The ailerons, elevators and rudder are fitted with metal hinges, while the flaps may be posed open or closed. 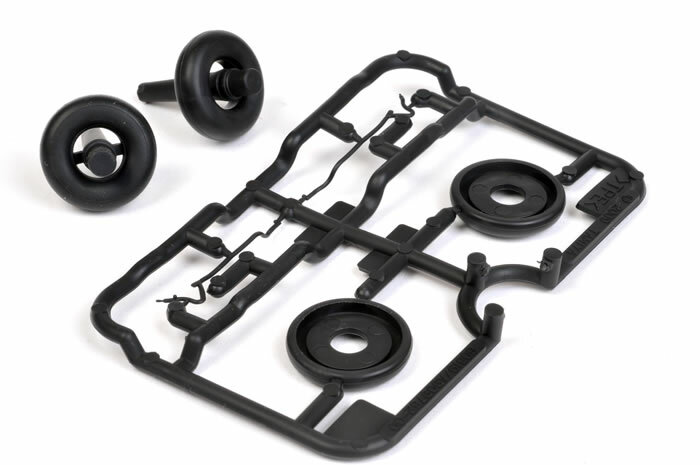 Alternate parts are supplied to display the undercarriage retracted or extended. This may be changed even after the model has been built thanks to removable fairings on the lower wings. A display stand is supplied for in-flight display. A beautifully detailed Rolls-Royce Merlin engine is also included. One of the problems of earlier models with detailed engines was that the thickness of the engine cowing plastic meant that the powerplant was undersized. 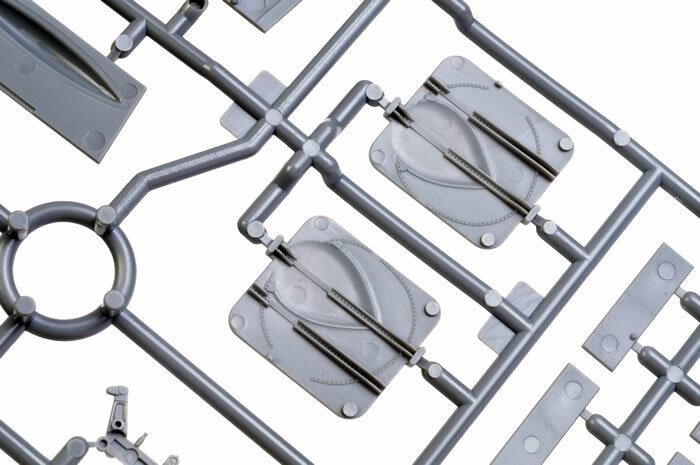 In this case, Tamiya’s cowl panels are a fraction of a millimetre in thickness. Another innovation is the use of tiny magnets to permit the cowl panels to be fitted and removed with ease. The cockpit door is poseable too. The tyres are presented in flexible vinyl. Two alternatives are provided - one for extended undercarriage and one for retracted. FD AA, No.1 (Pilots) Refresher Flying Unit, Finningley UK, March 1949. This aircraft is finished in overall silver. The decals are well printed and in perfect register. In addition to the intructions and a separate marking guide, this package includes an A5 szed, 16 page full-colour booklet conatining reference photos. This will be especially helpful for painting and detailing the engine. Tamiya’s 1/32 scale Spitfire Mk.XVIe continues the tradition of these extraordinary kits. 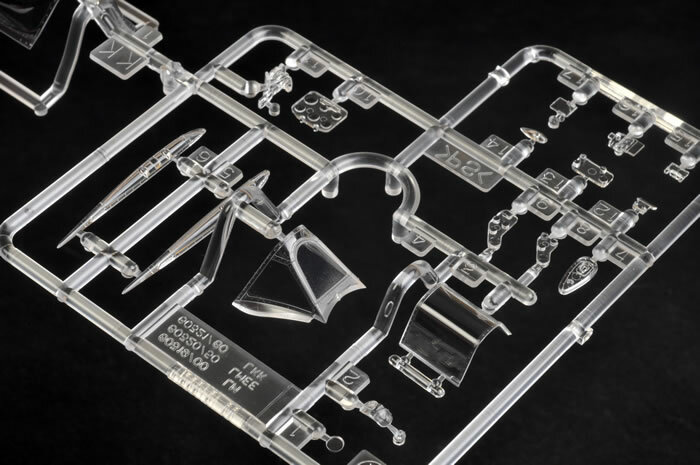 The level of detail is second to none, and the kit is remarkably accurate. I have already built both the MkVIII and the Mk.IXc. I have no reason to expect that this model will be any less impressive to work on than its predecessors. Will we see more variants in this series? 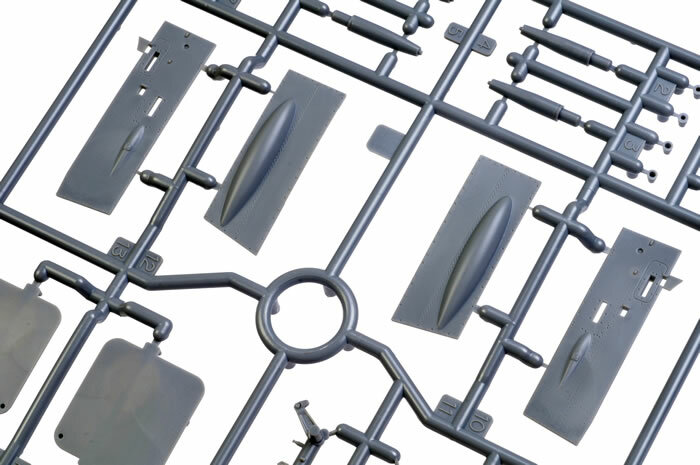 Logically, the last version that might be wrung from this set of golden moulds might be the Spitfire Mk.VII, the pressurised version of the Mk.VIII. We can only hope!